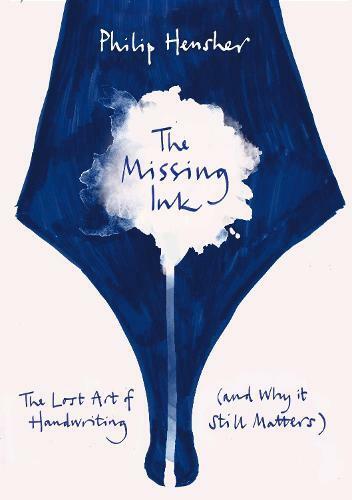 At a time when we are obsessed with electronic gadgetry, convenience and speed, Philip Hensher’s The Missing Ink: The Lost Art of Handwriting (And Why It Still Matters) is a smart, humourous look at what we might be giving up in our rush towards the iPhone 5 and its kin. The book looks at handwriting – its history, the social meanings attached to it, and what a person’s style can give away about their character. While our flashy new gadgets strike us as sophisticated and clever, Hensher makes you reconsider the humble pen and the seemingly simple act of using it. Poking fun at elaborate and essentially unreadable early styles, Hensher manages to turn detailed descriptions of lettering into interesting reading. Without resorting to the nearest computer font package (where most of these styles are replicated today), the reader gets a strong visual image of each, as well as a sense of the main proponents. Handwriting champions A.N. Palmer and Marion Richardson are painted vividly as characters and people we feel utterly endeared to (or, as in poor Tom Gourdie’s case, repulsed by) and whose stories we are keen to follow. Hensher finds relevant and compelling examples for everything, from the changeable copperplate Cs in the Coca-Cola logo to Dickens’s use of handwriting as a telling character trait and plot-moving device in almost all his work. Hensher also attempts to demystify the little-credited field of graphology, which divines personal characteristics from handwriting, before moving on to the technological feat of ballpoint and fountain pens with ink reservoirs. While it takes a while for the many strands in this book to come together, Hensher leaves no stone unturned. The book is quite a romp, in a very English, Stephen Fry kind of way. Hensher’s narrative voice drips with dry humour, and, while the exercise of looking back at handwriting in this way is somewhat romantic, Hensher never loses himself in nostalgia. Samantha van Zweden is a freelance book reviewer.